The Macquarie Lighthouse. 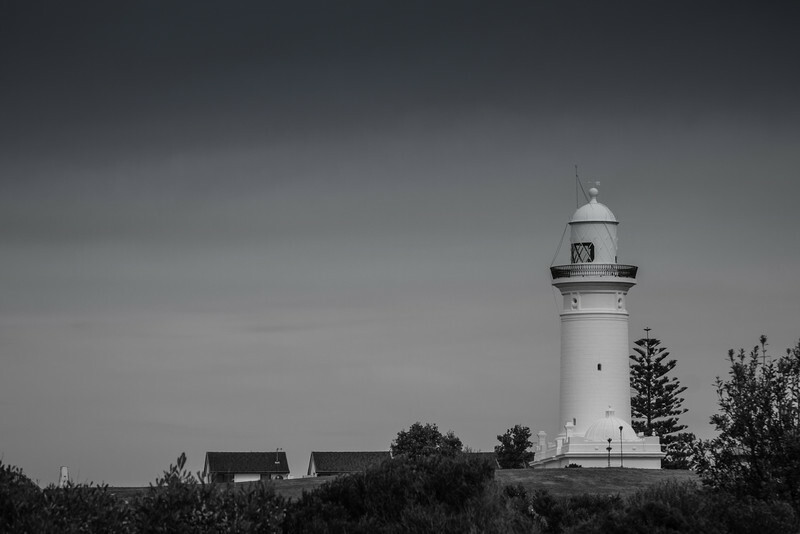 Designed by convict architect Francis Greenway and constructed in 1818 (though there was a navigational aid on this site from 1791), it was Australia's First Lighthouse. This lighthouse was replaced by a similar structure in 1883; designed by Colonial Architect James Barnet. The crown is the most obvious change from the original (the tower itself is almost a copy) - allowing for a much larger, more powerful light source.